The loan is to be “repaid at the government’s convenience” with no deadline, the tourism minister told the press at a ceremony held to sign a US$2.5 million contract with the UAE-based Gulf Cobla to reclaim land for the airport project. Business tycoon ‘Champa’ Mohamed Moosa gave a US$4 million interest-free loan to develop an airport on Faresmaathoda island in Gaaf Dhaal atoll, Tourism Minister Moosa Zameer revealed Sunday. The loan is to be “repaid at the government’s convenience” with no deadline, Zameer told the press at a ceremony held to sign a US$2.5 million contract with the UAE-based Gulf Cobla to reclaim land for the airport project. Reclamation and shore protection work will begin once an environmental impact assessment is complete, he added, after which the government will seek a developer to build the domestic airport. The government says more regional airports will be needed when the expansion of the Velana International Airport is completed later this year and more resorts are opened in far-flung atolls. The 2018 budget allocated funds for airports in Kulhudhuffushi, Funadhoo, Nilandhoo and Maavarulu. 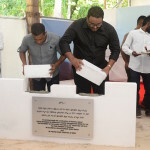 But with the destruction of the Kulhudhuffushi mangrove to make way for the airport, the authorities have been under fire from environmental groups over the failure to implement promised mitigation measures. 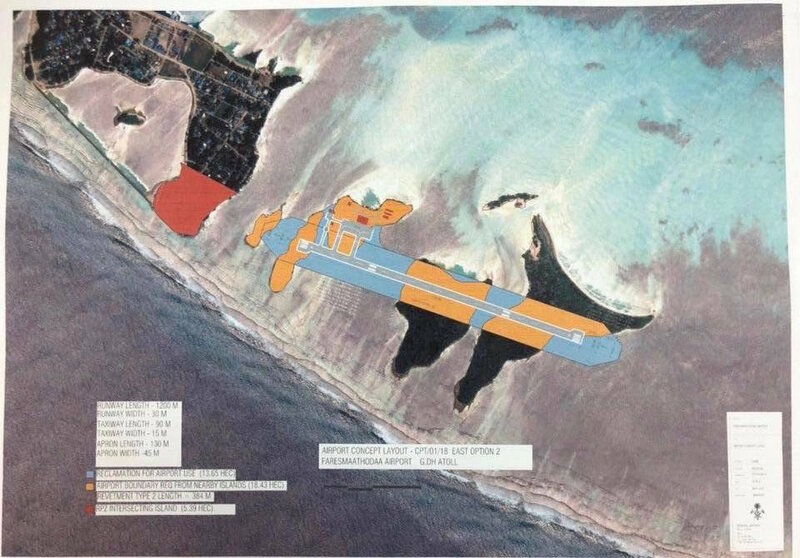 Last Tuesday, Champa Moosa’s Kuredu Holdings was awarded a project to develop an airport on Lhaviyani Madivaru. 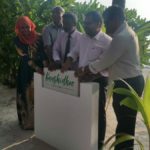 The signing ceremony was held at the underwater restaurant in Hurawalhi resort, owned by Moosa’s Crown & Champa Resorts. “Our policy is that there should be an airport 30 to 40 minutes away from every inhabited island. That is how we are developing,” Zameer told reporters at the event. 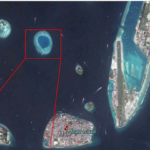 At Sunday’s event, Zameer went on to say that new airports in the Gaaf Alif and Gaaf Dhaal atolls would make the southern atolls more accessible and boost the development of tourist resorts. There are 11 airports in the Maldives, including four international ones. The Faresmaathoda airport was among five projects awarded to a Malaysian company last year. But the deals were scrapped after Gryphon Energy Corporation was unable to secure financing from an EXIM bank. 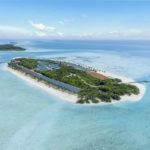 The Champa Brothers own several resorts in the Maldives, as well as a stake in the country’s national bank and the new Maldives Commercial Bank. Earlier this year, Tree Top Investment, a consortium led by Champa Brothers, opened a multi-speciality hospital in Hulhumalé. It was revealed in late 2012 that Champa Brothers purchased treasury bills worth US$11 million as the previous government faced cash flow constraints. A charitable foundation of the Champa business family has also funded water and sewage projects and built several mosques across the country.